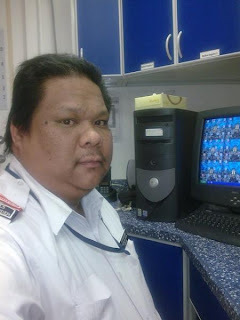 My Life and Activities here in KSA..: Offshore.. I don't know why I go back on this place.I have been in the city for 4 months,and I enjoy myself so much there,travelling in other places,meeting new acquintances..relieving duty for those who will go days off..I thought I'll be staying Tanajib for good when I have my duties there..after staying there for 2 weeks,they inform me that I"ll be going to offshore..what was the reason? ?I dont know..but the thing I could do was to make good of my work,keep studying and be confident and probably..Be courteous with people in offshore..since I am new to this area..I dont know how long I stay here,I will just keep you inform of what's next! !